If you have an upcoming trip to Oahu planned (or even thinking about coming), you’re just in time to mark an important historical event, the 70th anniversary of the end of World War II. On Sept. 2, 1945, Japan signed the surrender aboard the USS Missouri in Tokyo Bay. But, today, the USS Missouri is docked at Pearl Harbor in Hawaii, just perpendicular to the USS Arizona, sunk during the attack which brought the U.S. into World War II. If you’re interested in learning more about the events surrounding World War II and Hawaii’s involvement in the war, Hawaii Aloha Travel offers the Pearl Harbor Home of the Brave Tour, during which you’ll board the USS Arizona Memorial at approximately the time when the USS Arizona was attacked. You’ll then head to Wheeler Army Airfield, Schofield Barracks, Fort Shafter, Punchbowl Cemetery, and downtown Honolulu. 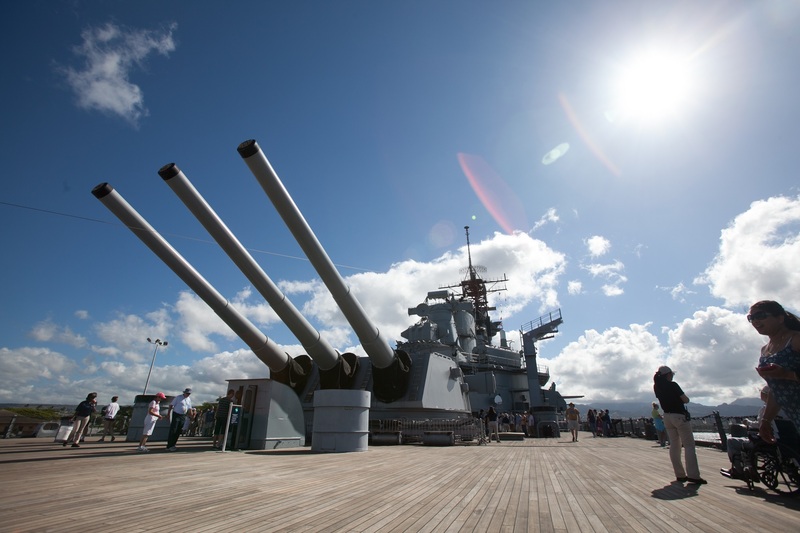 For visitors who want to include a trip aboard the USS Missouri, Royal Star Hawaii is inviting guests to join its USS Arizona Memorial and USS Battleship Missouri Combo Tour at a special price from October 1 through December 31, 2015. With tours to both the USS Arizona and the USS Missouri, guests will have the opportunity to visit the site that marked the United States’ entry into World War II and the ship where it officially ended for $70 per adult. The USS Missouri was docked in Tokyo Bay when Japan signed the surrender ending World War II, but the USS Missouri is now docked in Pearl Harbor. In addition to the stop at Pearl Harbor, the Royal Star tour also includes a visit to Punchbowl National Cemetery, where some of Hawaii’s most valiant soldiers are interred, and a drive through historic Downtown Honolulu, which features ‘Iolani Palace and the iconic King Kamehameha statue. Friendly and knowledgeable Royal Star drivers lead all tours on deluxe gold vehicles, and the company prides itself on being “Aloha on Wheels®” for its guests. 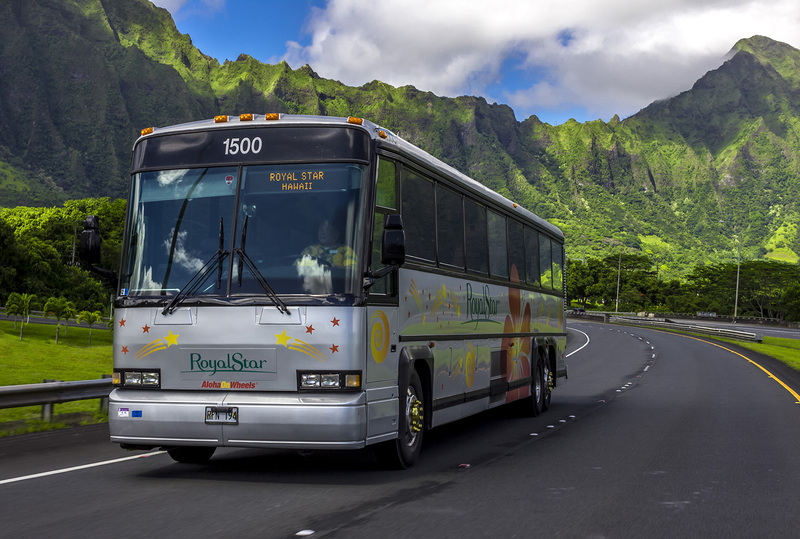 The Royal Star Hawaii Fleet prides itself on bringing "Aloha on Wheels®" to its guests. However you design your Pearl Harbor experience, if you visit during this historic anniversary, you’ll be sure to come away with a new appreciation for our World War II heroes—and those who were part of the war’s peaceful end. The 70th anniversary special pricing is available exclusively for reservations made online or via phone. Use the code 70ANV when booking the tour to receive the offer. For more information or to book a deluxe tour today, call (808) 983-STAR (7827) or visit www.RoyalStarHawaii.